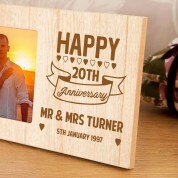 What better gift for a loved up couple celebrating twenty years of marriage? 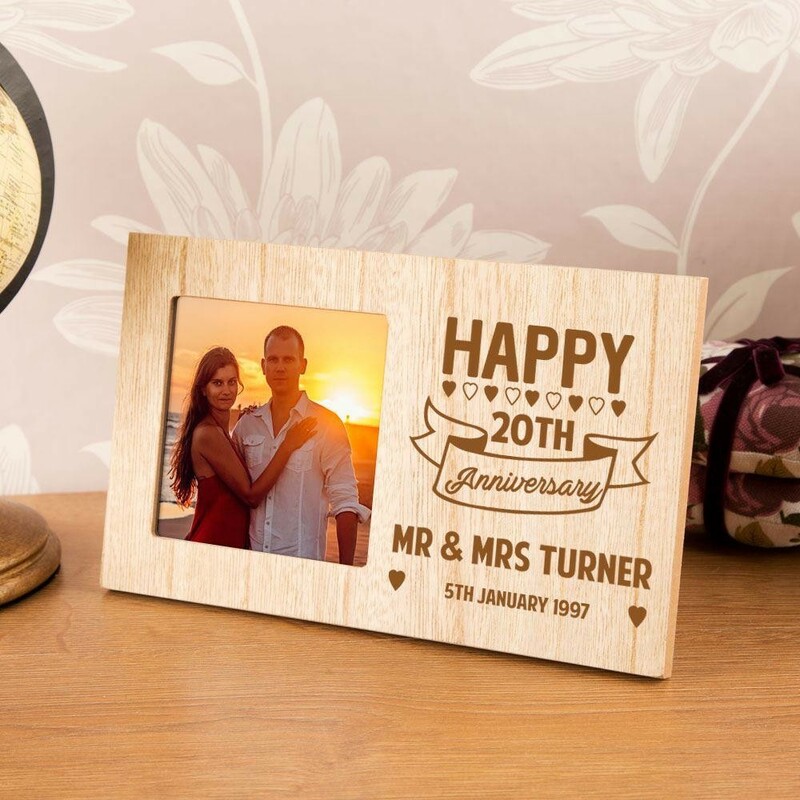 Our stylish wooden frame is the perfect keepsake for a China Anniversary. Our frame is laser engraved by us with a modern design. It reads “Happy 20th Anniversary” followed by the couples names. It even includes a special date. (This can include the anniversary year or the wedding year). The design is made complete with little heart outlines and a scroll. Couples will love to display it for everyone to see in any room! It will stand out in any décor and is sure to be a conversation starter. Why not make it extra personal by presenting it to them with a wedding picture? Our professionals work in house to carefully engrave onto the wood for unique results every time. The frame features a small square photo window – perfect for a cute Instagram snapshot!